Welcome to Basecamp! We are here to help start your next adventure in the White Mountains. Check out some of our informational pages below, including information about hostels and where to stay in the White Mountains. The White Mountains Visitor Center and the Western White Mountains Chamber of Commerce are both valuable sources to take a look at when planning your trip. They both offer suggestions on activities and places to eat within the White Mountains. 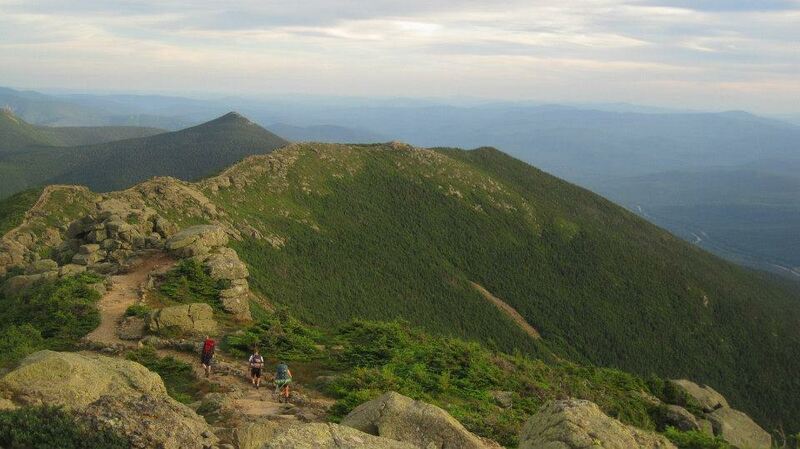 We serve hikers from both Kinsman and Franconia Notch and we’re an ideal location for slackpacking over the Kinsman Range. Check out our AT page to learn about the services we offer for thru/section hikers, including shuttling, mail drops, and more! Working on the 48? Make sure you check out our downloadable tracking list. Special bunk discount for handing in a completed sheet! Can’t decide what hike to do? Need help preparing for winter hiking? We’re here to help! Check out our recent blog posts for relevant information to help you prepare for your next adventure.